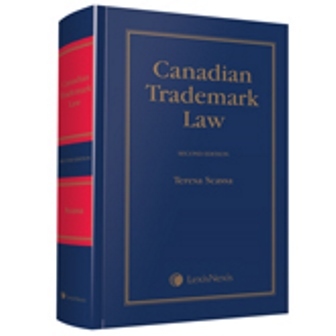 After years of neglect, trademark law reform is now all the rage in Canada. Presently, two government bills propose major amendments to the Trade-marks Act – those in the Budget Implementation Act have proven highly controversial; those in Bill C-8 would introduce major changes, although these are less controversial. Yesterday, Liberal MP Geoff Regan introduced a private member’s bill, Bill C-611, which has as its goal the overhaul of official marks under the Trade-marks Act. The Committee recommends that the Government of Canada introduce legislation which amends parts of the Trade-marks Act dealing with official marks to restrict the scope of official marks to important national government symbols and to narrow the definition of public authorities to avoid stifling innovation and distorting markets. Official marks are a rather unique Canadian creation. Essentially, they allow “public authorities” to bypass the normal procedures (including all of the checks and balances present in the Act) for obtaining a trademark. Instead of applying for a trademark – which is then examined and opened for opposition to insure that it is indeed registrable and does not trample on the trademark rights of others – a “public authority” need only ask the Registrar of Trademarks to give public notice of its adoption and use of an official mark. There are no limits to official marks – they can be identical to or confusing with existing marks, and they can be generic, descriptive or deceptively misdescriptive. Further, unlike regular trademarks which can expire if the registration is not renewed, or which can be lost for non-use, official marks are potentially perpetual. One of the reasons for the creation of the category of official marks, was perhaps, to save governments from the costs of registering and maintaining trademarks in relation to their various programs and services. While this might be an acceptable rationale for government programs and services in the strict sense, it makes less sense for government entities engaged in the marketing of alcohol and gaming to be exempt from the traditional rules (and checks and balances) of the trademark system. In addition, until the Federal Court began its attempts to reign in official marks in the early 2000’s, the concept of a “public authority” was rather vague, leading to a flood of bogus official marks. And once public notice is declared, there is no mechanism in place to permit an easy removal of the mark – judicial review must be sought in the Federal Court of the Registrar’s decision to give public notice. This places a costly onus on businesses or other entities that run up against rogue official marks. For example, the Canadian Jewish Congress was obliged to go to court to reverse the decision to allow a U.S.-based evangelical church with a mission to convert Jews to Christianity to hold an official mark for the menorah. In 2005 I wrote an article about a battle between a private company, the Bluenose Heritage Preservation Trust Society and a Nova Scotia business over licensing fees that the Society sought to charge for the use of the name and image of the iconic Nova Scotia schooner. The Society had obtained official marks related to the Bluenose, notwithstanding that it was difficult to see how it qualified as a public authority. The litigation came to an end when the Province of Nova Scotia intervened. The Province subsequently sought to have notice given for its own Bluenose official marks. It is an illustration of the multiple defects of this regime that if you search the trademarks register you will find listed identical official marks held both by the Society and by the Province of Nova Scotia. It would be easy to go on and on about the problems of official marks and about the problematic exercise of rights in such marks – there are many examples that can be drawn upon. (Do you remember a not too distant news story about a young Nova Scotia musician pursued by the Mint because his album cover featured Canadian pennies (which are official marks of the Mint)? Do you remember Canadian pennies?) But the point here is to discuss the new bill introduced to reform the official marks regime. I should state from the outset that I was consulted on the drafting of this Bill (along with my colleague Andrea Slane). The goal of the exercise was to reform the official marks regime. I note that a good argument could still be made for its wholesale abolition. A second feature of the bill is that it provides for a process by which objection can be made to the public notice given by the Registrar of the official mark. This is meant to be a more expeditious and cheaper procedure than seeking judicial review of a mark. It also introduces other grounds for objection to the official mark, including that it might have a serious adverse effect on the owner of an existing trademark, that it is a generic term, or that it is otherwise not in the public interest. A third feature sets a term of 10 years of protection for official marks. This protection can be renewed by the public authority – but if it is not, then the mark is no longer protected. The bill aims to do something that has long needed to be done – it seeks to curtail access to official marks, to place some limits on the marks themselves so as to lessen their impact on other trademark holders, and to provide a mechanism whereby official mark deadwood can be removed. These are certainly important objectives. It is to be hoped that the bill will at least serve to put an option on the table for public debate, with a view to achieving much-needed reform in this area. Ontario’s Divisional Court has decided to certify a class proceeding in Keatley Surveying Ltd. v. Teranet Inc., a case that raises issues about the copyright status of plans of survey that are prepared by surveyors and deposited in provincial land registries. (The decision of the court below refusing to certify the class action was discussed here.) The defendant, Teranet Inc. is the company that runs the province’s electronic land titles system. The class plaintiff argues that individual land surveyors hold copyright in their surveys, and it argues that the defendant Teranet violates those copyrights when it makes electronic copies of those surveys available to others for a fee. The defendant raises several arguments in its defence. These include an argument that copyright in the surveys belongs to the Crown because of the statutory requirement for such surveys. Alternatively, it is argued that copyright is assigned to the Crown through the act of registering the document. Another possibility is that the statutory scheme that governs the registration of a plan of survey creates a process whereby the surveyor consents to the copying of the submitted plan for public purposes. Finally, there is the argument that the electronic land registry system operated by Teranet confers a public benefit such that it would be against public policy to permit surveyors to enforce their copyrights. As noted in a recent posting, these questions regarding the copyright status of documents in public registries are both interesting and important, and arise in other contexts as well. The Divisional Court was prepared to certify the class proceeding because certain deficiencies identified by the judge at first instance had been corrected in the plaintiff’s revised class certification request. For example, while initially the class had been defined in such a way that membership in the class depended on how the substantive issues would be decided, the revised definition of the class simply includes all land surveyors in Ontario who are authors of a plan of survey found in the electronic database, or who might hold copyright in such a plan as a result of their status as employer of a surveyor, or as an assignee of either the surveyor or his/her employer. The Court of Appeal also found that the other requirements for certification of a class were met. The Court of Appeal’s decision paves the way for this law suit to proceed – though it remains far from certain that any of the underlying copyright issues will ever ultimately be decided by a court. Nevertheless, should this dispute make its way to court, it may well provide important guidance regarding copyright in documents of all kinds that are filed in public registries for statutory purposes. A recent decision of the Ontario Supreme Court offers a relatively rare glimpse into how copyright laws are applied to artistic works in Canada. The plaintiff in this case, visual artist Malcolm Rains, painted a series of oil paintings over a period of 22 years. He calls this series the “Classical Series” and it currently comprises over 200 paintings. Each of these paintings is a still life of a sheet of crumpled paper against a particular background. The defendant is visual artist Lucian Bogdan Molea. In 2000, Molea began painting still lifes of crumpled paper. Rains brought suit against Molea, arguing that he had infringed his copyright in individual canvases, as well as in his series as a compilation. Justice Chiappetta began her analysis by considering whether copyright subsisted in the individual canvasses painted by Rains and in the series. She found that the plaintiff’s canvasses met the standard of originality set out by the Supreme Court of Canada, notwithstanding the fact that the he “employed commonplace tropes used by painters for centuries”. The paintings emanated from Rains and were not copies of other works; they also reflected an exercise in skill and judgment that was more than trivial. She rejected the argument that the paintings amounted to an unprotectable merger of idea and expression. Justice Chiappetta noted that the idea was to paint a still life of a crumpled piece of paper; the expression of the idea was found in each individual painting. Recognizing copyright in the paintings did not give Rains a monopoly over the idea. Although she found that each painting was protected by copyright, Justice Chiappetta reached a different conclusion with respect to the series. It was argued that the series was itself a distinct work, namely, a compilation. To be protected, a compilation must be an original expression that reflects an exercise of skill and judgment. In the case of the series of paintings, there was a concept, and a progression of canvases, but there was not the exercise of skill and judgment necessary to create a compilation. She explained: “There is no originality in the label itself, there is no skilful organizational aspect of the Classical Series that warrants protection for the series as a whole.” (at para 17) The paintings were not specifically selected and/or arranged as part of a collection; rather, the series was an open-ended and evolving category of works. Justice Chiappetta also rejected arguments that the series should be considered a compilation because it evokes a common feeling or “gestalt”. She stated: “it would be unwise to extend copyright protection to the visual perception of an artistic work, which is intangible and subjective.” (at para 22). Having determined that copyright subsisted in the plaintiff’s individual paintings, Justice Chiappetta next considered whether Molea’s works infringed upon those copyrights. At the outset she dismissed any similarities between the works that were due to “common, long-established artistic techniques”. She also found that these similarities represented “a substantial part of the respective works.” (at para 30) She noted that painting crumpled paper “has been employed as a model since the French Academy was founded in 1664”. (at para 35) Painting it on a flat surface had similarly been around for at least 200 years. She also noted that the choice of certain colours for backgrounds also reflected long established practices. However, Justice Chiappetta was careful to clarify that she was not imposing a “novelty” standard for the protection of artworks under copyright law; rather, an artist: “cannot establish infringement by relying on his use of the noted unoriginal, commonplace, historical painting techniques. This would be akin to Shakespeare relying on his use of iambic pentameter in his writing or Drake relying on his use of 16 bars to a verse in his music.” (at para 40). In other words, the scope of protection available to copyright works must not be so broad as to give rightsholders a monopoly over techniques or practices. Ultimately she found that there were sufficient dissimilarities between the works to conclude that Rains’ canvasses were not the result of copyright infringement, but were original works in their own right. In rejecting arguments that the defendant’s works might be mistaken for those of the plaintiff, Justice Chiappetta also made an important distinction between a confusion analysis and the analysis required for copyright infringement. A confusion analysis is more common in trademark law, where the question is whether the defendant’s trademark creates confusion in with that used by the plaintiff. Since a trademark is meant to serve as an indicator of source; misrepresenting one’s products or services as those of another is at the heart of trademark infringement. In the copyright context, however, it is not enough to argue that the work of one person is evocative of the work of another, absent proof of infringement. In the words of Justice Chiappetta: “it would be unwise to establish confusion as the test for colourable imitation of an artistic work. This test by its very nature lends itself to the subjective nuances of comparison [. . . ]”. (at para 44) “Confusion” in the context of art might be the result of the use of fairly similar techniques or methods. Further, copyright law allows for independent creation – the creation of even identical works can be tolerated so long as one was not the result of copying of the other. Justice Chiappetta’s findings on the issue of access are also interesting. Because independent creation is always a theoretically possible explanation of substantially similar works, there must be some evidence that the defendant had access to the works that he or she allegedly copied. In this case, it was clear that Molea had previously seen a number of canvasses in Rains’ series. However, Justice Chiappetta found that this general access to a broad spectrum of work by Rains was not sufficient. Rather, it was necessary to show specific access to those particular works which were allegedly copied. She also refused to presume access on the basis that Molea had only commenced painting canvasses featuring crumpled paper after his move to Canada, when he would first have been exposed to the works of Rains. She found that Molea had provided a logical explanation for the evolution of his work over time. This case is interesting in its application of copyright principles to the visual arts in a context where it is necessary to separate both concept and techniques and methods from the work itself. A finding of infringement in a case such as this would make it difficult for anyone to paint a crumpled piece of paper without fear of a finding of copyright infringement. Last year Canada (finally) responded to the changes wrought by the internet and amended the Copyright Act to address, among other things, the creation, reproduction and dissemination of works in a digital environment. The Supreme Court of Canada has also recently re-emphasized the need to interpret the law in a technologically neutral manner. These developments, however, may still not be enough to prepare us for the new wave of digital reproduction technology that is coming with 3-D printing. As was the case with other digital reproduction technologies, 3-D printing technology is now moving from very expensive devices predominantly in the hands of corporate owners, to increasingly inexpensive technology on the verge of becoming popularized among ordinary consumers. This shift is similar to those which we have already seen with respect to personal and mobile computing. Three-dimensional objects of widely varying complexity can now be printed using this technology using a variety of materials. A recent news story has even reported on the potential for this technology to print organs for transplant. The printers are evolving to use a wide range of materials that go well beyond the initial plastics and polymers. 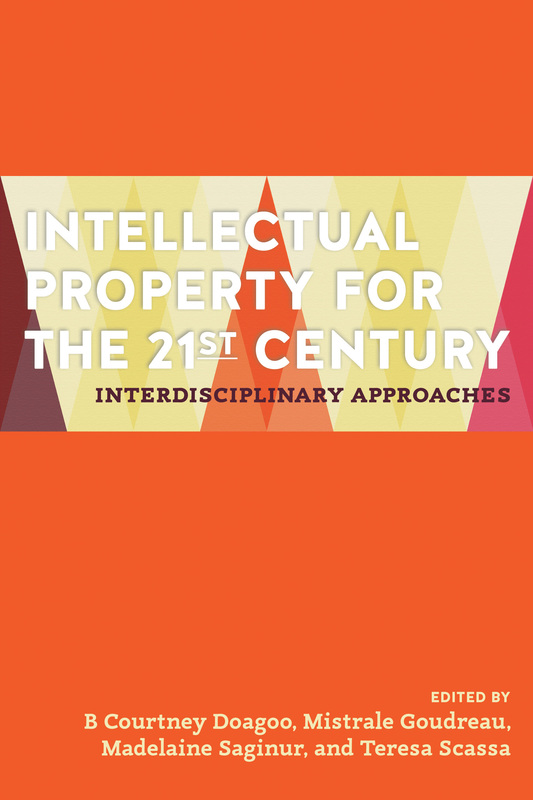 Three-dimensional printing is likely to present some significant challenges for intellectual property regimes. This is certainly the thrust of a recent article on the subject in the World Intellectual Property Review (WIPR). Unlike 2-D printing, which is predominantly useful in reproducing works protected by copyright, 3-D printing affects copyright, patent, industrial design and trademark law. We are not far from a future where individuals widely use online file sharing networks to widely distribute plans that will allow for the reproduction of all manner of 3-D objects, including utilitarian objects, replacement parts, jewellery, toys, guns, uniquely configured, eye-catching products, miniatures and action figures based on copyright protected characters from books or movies. Canada’s IP laws – like those of other countries – may not be fully ready to deal with the challenges posed by affordable and accessible 3-D printing. In the first place, the reproduction of 3-D objects may implicate one or more IP statutes. Three-dimensional objects that are artistic in nature are often protected by copyright law; the drawings or plans for the making of three-dimensional objects may also be protected as artistic works under copyright law. The visual appearance and design features of utilitarian objects can be protected through industrial design registration. Three-dimensional features of objects may, if they are distinctive of their trade source, be protected as trademarks. Functional 3-D items may also be protected under patent law. Clearly, there is IP protection available for 3-D items, but it is highly fragmented which will likely make it harder for individuals and companies to understand the parameters of legal activity. Further, while copyright law has been substantially revised to deal with the challenges posed by easy digital reproduction and the online dissemination of works, the other regimes have not received attention in this regard. Much has also been done to address the different ways in which copyright law may be infringed online – this includes a number of important new defences to copyright infringement that seek to create balance, along with an adjustment of statutory damages available where copying is non-commercial in nature. The other IP laws in Canada are not well adapted to copying by private individuals for non-commercial purposes. Three-dimensional printing may thus bring with it a paradigm shift which will no doubt create tensions between IP owners and users that may ultimately have to be addressed by the legislature. Yet we are still grappling with old-tech IP reform. For example, a new IP Bill C-56, currently before Parliament, addresses counterfeiting under both the trademark and copyright regimes, but the focus of these amendments is on the movement of goods across borders, and on enhancing the available measures to stop the importation of infringing works. Just as the law is moving towards addressing the flow of counterfeit goods across the border, counterfeiting may soon shift to digitally networked 3-D printers, the online dissemination of plans and designs, and small scale reproduction of works by multiple and widely dispersed individuals.